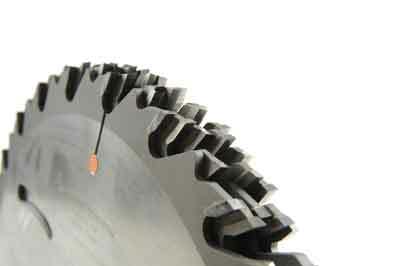 It doesn't matter whether you are using a tablesaw, radial arm saw, compound mitre saw or cutting plastics and non-ferrous metal; you need good blades, and Trend Waveform sawblades seem to be the perfect answer for the professional. 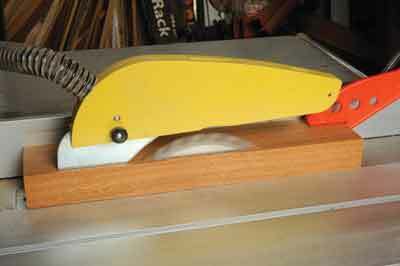 Trend sent us a batch of blades to try: universal rip, general purpose, combination, trimming/crosscut and radial arm crosscut. 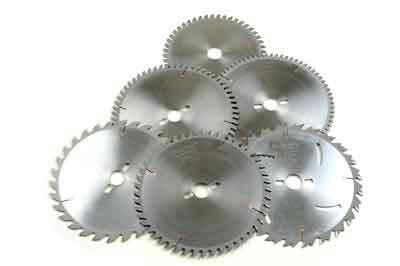 These are part of a larger range that also encompasses fine trim/finishing and panel trimming, plus aluminium and plastic cutting blades. It seems a little mind-boggling, but if you have the saw and a specific requirement it is relatively easy to choose using the handy colour-coded guide in the Trend catalogue, or you can contact their technical department for a fast, friendly response. Depending on the blade type, they vary in size from 150mm dia. x 25 tooth TCT right up to 350mm dia. x 108 TCT teeth, with everything in between and a variety of blade bore sizes to suit most needs, although they are mainly supplied as 30mm as a standard. However, they can also supply reducing bushes to suit smaller arbors. Trend state that their blades have micro-granular TCT tips that are resharpenable, with hardened and tempered blade bodies, laser-cut from chrome-alloyed steel plate. The arbor bores are reamed exactly to size for a balanced fit and laser etching on each blade describes exactly what type and its specification, thus making it easy to choose the correct one in the workshop or on site. In use these blades work really well, cutting quickly and cleanly with a cut finish that you would expect to find with each particular type. Waveform blades definitely get the thumbs up from us!